Delve into the mystical shark world with the Blue Wilderness team. 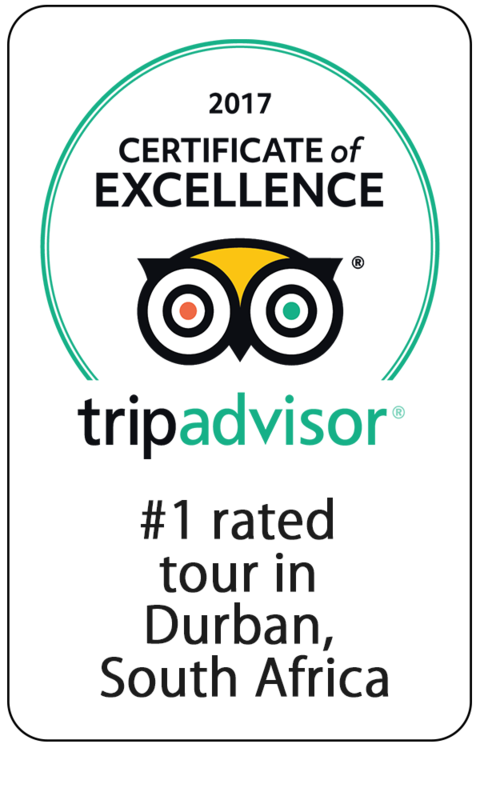 Based on Durban’s Aliwal Shoal, we offer exhilarating shark adventures to everyone. Depending on your level of comfort, you can choose to either shark cage dive; snorkel cageless or don a SCUBA set for a baited shark dive. We aim to turn turn each guest into an ambassador for shark conservation and we hope you’ll give us this opportunity. 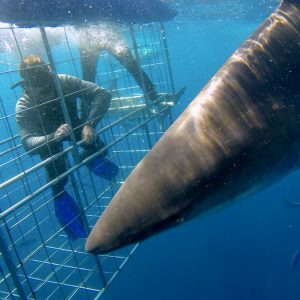 Come join Blue Wilderness shark cage diving at Durban’s Aliwal Shoal. Open to all ages and no qualifications needed! For all SCUBA qualified shark adventurers – join us on a baited shark SCUBA dive drifting over Durban’s Aliwal shoal. 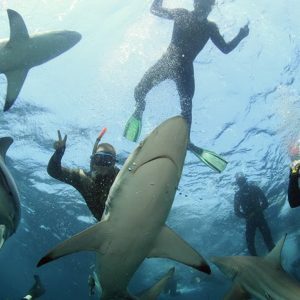 Blue Wilderness is the pioneers of shark cage diving on Durban’s Aliwal Shoal. Numerous international documentaries feature our work including shows on National Geographic and Discovery channel. 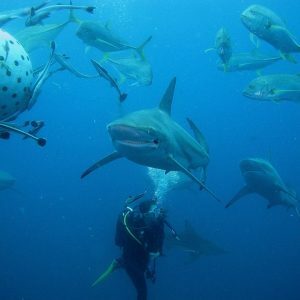 We boast a 100% safety record on our shark dives. Our strict ‘no touch’ policy ensures that neither our guests or our guides harass any of the sharks during our shark cage dives and other shark adventures. This means you stay safe, and our sharks are respected! 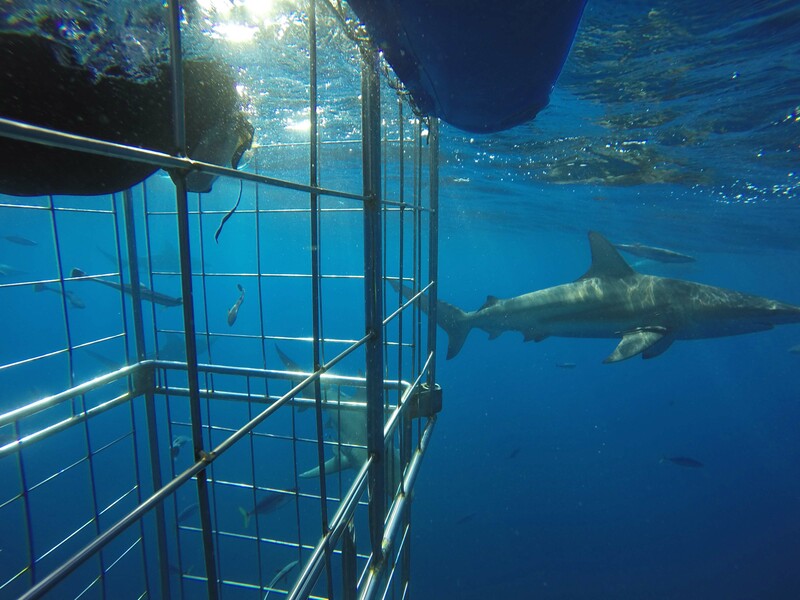 Each Blue Wilderness Shark cage diving expedition is limited to 9 shark adventurers! So you can be assured that our guides, skippers and hosts will give you a personal and exciting shark expedition every time.